Many laymen think that auto accidents are the same as truck accidents. An experienced personal injury Truck Accident Attorney would soon point out, this is not the case. 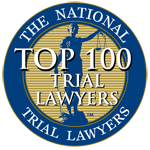 Truck accident cases are not the same as an auto accident that involves two vehicles or a motorcycle. There are many reasons for this. In terms of a truck accident, lawsuits are far more time-sensitive and evidence will need to be preserved more quickly. The laws governing these injury lawsuits are also different than those governing auto accidents and, because the vehicles involved in this type of crash are very different than those involved in an auto accident, the dynamics of what happens during the crash are also very different. When you are involved in a trucking accident, you need to realize that there is a lot more involved behind the scenes. This is why you need a personal injury attorney sooner in a truck accident than you would in an auto accident, not least of all because a lot of evidence may be lost quickly after an accident. There are specific regulations involved in truck accidents that will also need to be taken into account. For truck drivers to legally operate trucks, they need to have special licenses or commercial driver’s licenses. It means that truckers are required to pass additional tests aside from the standard tests that regular drivers need to attain their driver’s licenses. This is another way in which a truck accident differs from an auto accident. If you find yourself in need of the services of a personal injury lawyer in Stuart after a truck accident or auto accident, contact Gloria Seidule today to learn more about our services.